Drop, sterling silver, 21x18mm circle with rings. Sold per pkg of 2. 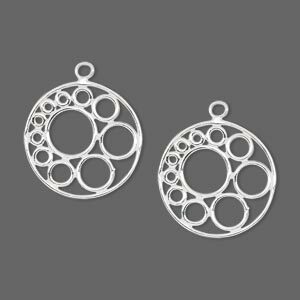 Sterling silver drops bring the feminine spirit of the cosmos into your jewelry creations with their concentric style. Circles, the ancient and universal symbol of unity, wholeness and infinity are cast inside top-selling geometric shapes and bursting with design potential. 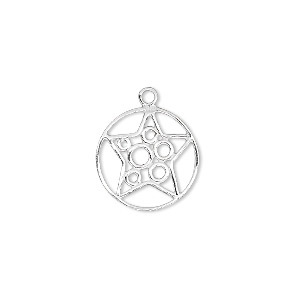 Drop, sterling silver, 18x15mm open circle with star and rings. Sold per pkg of 2. 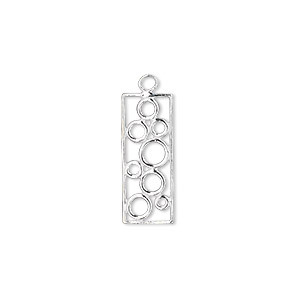 Drop, sterling silver, 22x7mm rectangle with rings. Sold per pkg of 2. Drop, Swarovski® crystals and sterling silver, turquoise, 7x5mm cross. Sold per pkg of 2. 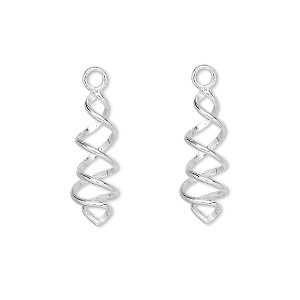 Drop, Swarovski® crystals and sterling silver, crystal clear, 7x5mm cross. Sold per pkg of 2. 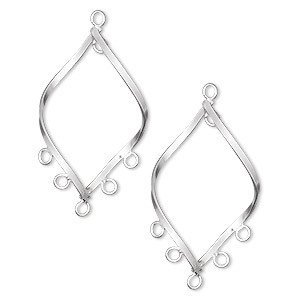 Drop, sterling silver, 23x13mm open twisted marquise with 6 loops. Sold per pkg of 2. Drop, sterling silver, 19x7mm spiral. Sold per pkg of 2. Drop, Swarovski® crystals and sterling silver, crystal AB, 7x5mm cross. Sold per pkg of 2. 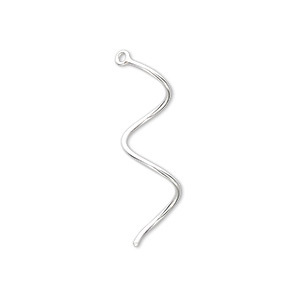 Drop, sterling silver, 27x5mm curved. Sold per pkg of 2. 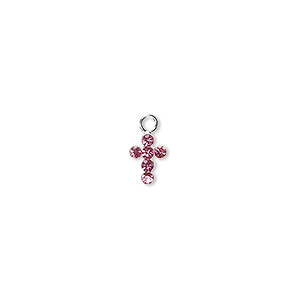 Drop, Swarovski® crystals and sterling silver, rose, 7x5mm cross. Sold per pkg of 2. 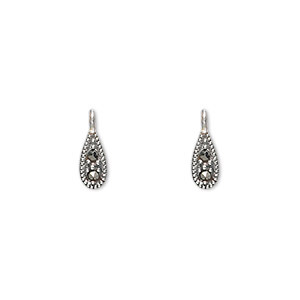 Drop, sterling silver with marcasite, 7x4mm teardrop. Sold per pkg of 2.